Pholiota lubrica (Batsch) P. Kumm. 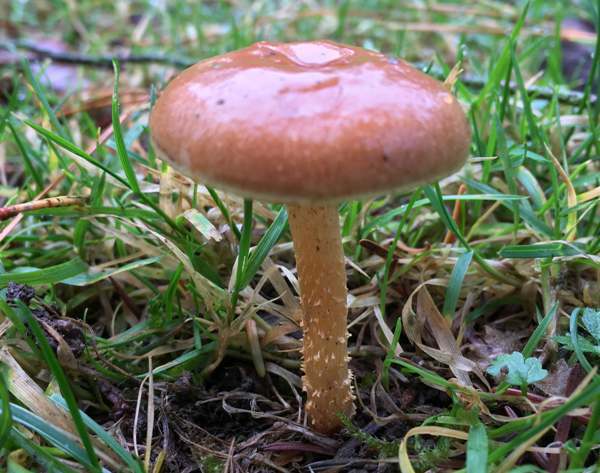 Pholiota lubrica, a rare find in Britain, is one of the most attractive of the so-called 'scalycap' mushrooms; it usually has a striking red-brown cap with a contrasting yellowish margin. A rare find in Britain and Ireland, Pholiota lubrica is also found in parts of northern and central mainland Europe. 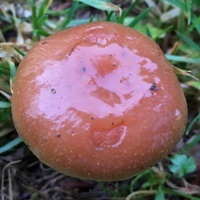 Very similar scalycap mushrooms have been recorded in parts of North America, but it is unclear whether they are co-specific with P. lubrica as found in northern Europe. 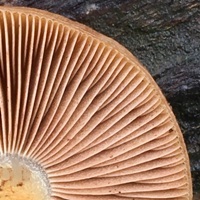 Described in 1801 by Christiaan Hendrik Persoon who named it Agaricus lubricus, this scalycap mushroom was moved to the genus Pholiota in 1951 by German-American mycologist Rolf Singer, thus establishing its currently-accepted scientific name as Pholiota lubrica. 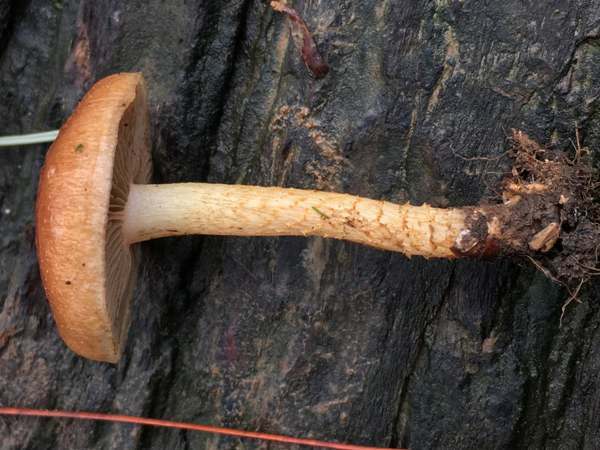 The generic name Pholiota means scaly, and the specific epithet lubrica is a Latin adjective meaning 'slippery' or 'slimy' - a reference to the glutinous cap surface of this scalycap mushroom. 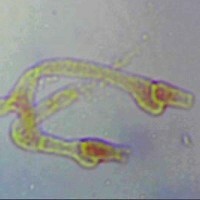 An ixocutis of 2 - 5μm wide, cylindrical encrusted hyphae embedded in a hyaline gelatinous layer. 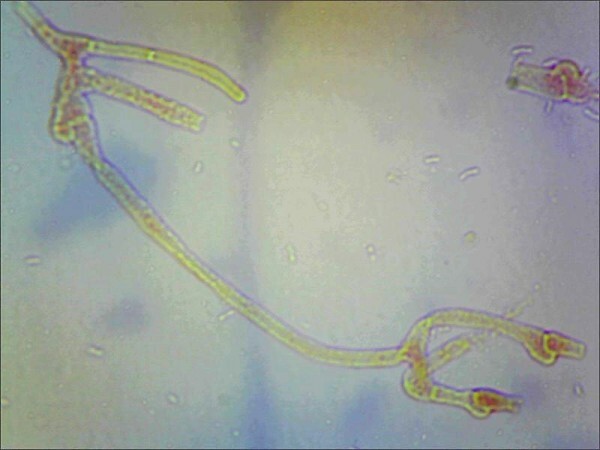 Clamps (left) are present in the cap cuticle hyphal structure. 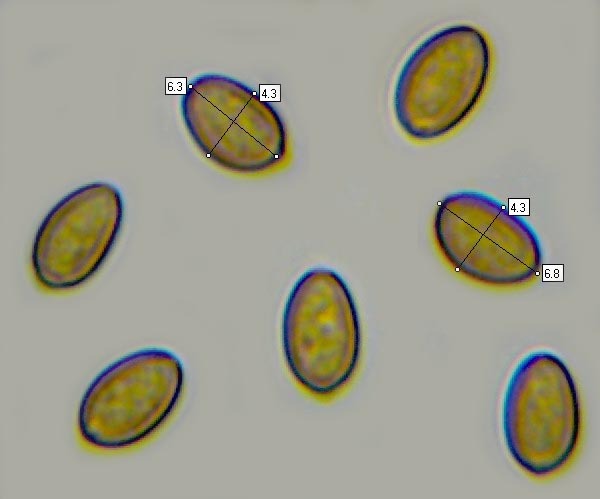 The moderately crowded adnate to subdecurrent gills are white or tinged pale yellow when young, turning orange-brown as the spores develop but remaining paler at the gill edges. 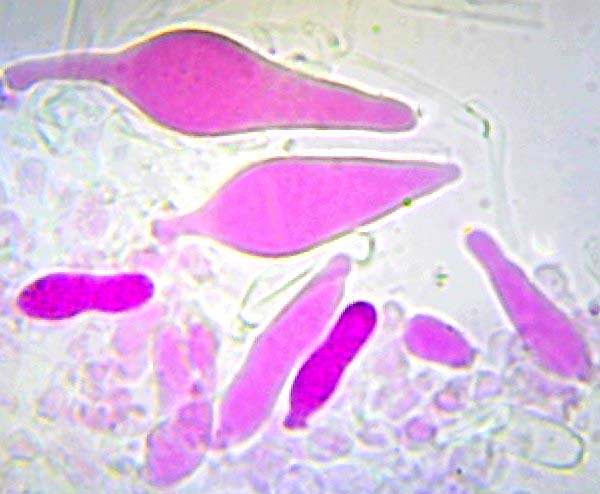 Pleurocystidia and cheilocystidia are abundant, clavate or lageniform to fusiform, 30-70 x 6-20μm. 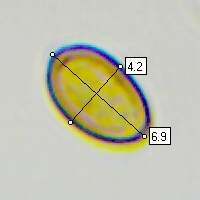 Cylindrical, 0.5 to 1.2cm in diameter and 4 to 9cm tall; dry; initially whitish turning yellowish and becoming rust-brown towards the base; surface girdled with floccose brown scales (fragments of the partial veil) below a fugacious median-to-superior ring zone. 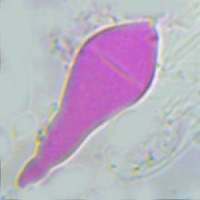 Ellipsoidal or slightly phaseoliform in side view; ovoid in front view, thin walled, smooth, 6-7 x 3.5-4.5μm with a small indistinct germ pore. Odour faint, pleasant but not distinctive; taste bitter. Singly or in tufts on buried rotten wood, rotting stumps, dead trunks and woody debris oin deciduous broadleaf and coniferous woodland; also on leaf litter or woodchip on roadside verges, in churchyards and in parkland. Pholiota squarrosa is usually paler with much larger cap scales. Pholiota alnicola is paler; it has few scales and much larger spores; it grows on Alder trunks and stumps. 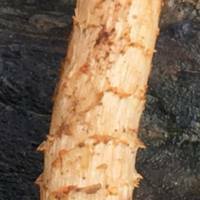 Pholiota aurivella has pale stems and much larger spores with very distinct germ pores. Despite their attractive appearance, these and other scalycaps (Pholiota species) are definitely not edible mushrooms, although in the past some members of this genus were considered to be so.